I write today’s post as dawn breaks. There are only two days left in early voting and I need to spend as much time at the polls as possible, and I’m trying to dash this off. One of the joys of this campaign, has been the opportunity to meet and interact with so many of you. I can’t tell you the thrill I get when you walk up and confess to being a regular reader. It’s something that really fills me with pride and gratitude. I’m extremely grateful for your patronage. It would be remiss if I didn’t mention the tremendous outpouring of support I’ve received from MNPS educators, both past and present. Y’all are the story of this election and when I win, it’s a story that needs to be repeated. This is what happens when teachers use their voice and I’ll make sure I amplify it. 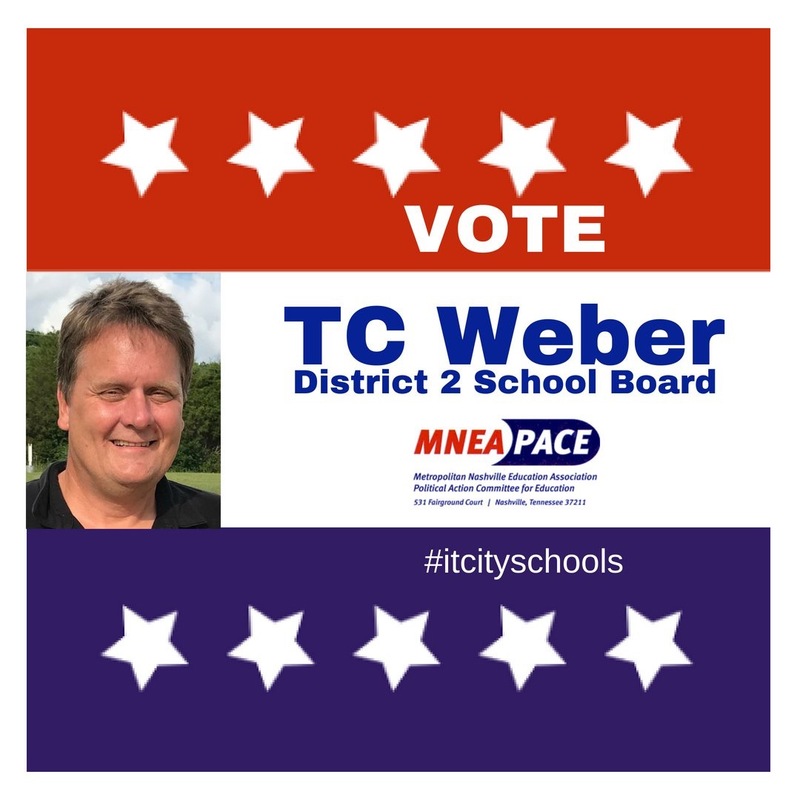 Not an hour goes by at the polls where I don’t meet either a teacher, or someone inspired by a teacher, coming to cast a ballot for me. All I can is…thank you. The fall out continued this week over the actions, and subsequent mishandling of the investigation, of JFK MS Principal Sam Braden. On Tuesday he had a front row seat at the principal meeting seemingly impervious to charges of sexual and financial misconduct. On Wednesday, he was placed on administrative leave and MNPS HR announced a deeper investigation. Last night, Channel 5’s investigative report Phil Williams went to the polling stations seeking feedback from school board candidates. Current school board member Tyese Hunter admitted that she hadn’t attended Tuesday’s closed door session of the school board because she was out campaigning. Dr. Joseph has taken the unfolding controversy as an opportunity to admonish principals to adhere to the highest standards. At this weeks principal meeting he warned them of the perils of engaging in the act of gossip. I never understand why managers think that this tactic will work. It is a tactic that invariantly leads to more gossip. If you don’t want people to gossip, than be transparent and supply a compelling narrative that is backed up by actions and facts. Devoid of a compelling narrative, people will supply their own and it is usually error ridden and negative. I think this is something that is covered during the first week of Leadership 101. Sorry, I’m tired and feeling a little snarky. Joseph followed up his words with an email that was sent not once, but twice to district employees. An email that had many asking whether they worked for a school district or the Syndicate. My favorite was the bullet point saying leaders should not bribe. Up until this letter I was a little unclear on whether that was a go or no go. Consider the confusion cleared up. Meanwhile as the Channel 5 story is still unfolding, over on Channel 2 another HR mishandling was being covered. Hey, if one news story is good…2 is great…right? Long term MNPS employee Stephen Henry if you’ll remember was arrested a month ago on meth charges. Full disclosure here, I’ve known Henry for a number of years and consider him a friend. While I find his actions deplorable, I’ve also seen the flip side of Henry and fully understand the dark side of addiction. Thankfully he is seeking treatment and making progress. That however does not put things above reproach. In light of those actions, Channel 2 took a closer look at his MNPS personal file and found that not everything was as it first appeared. Initially it was reported that Henry was transferred to Johnson Alternative Learning Center, a school were students are transferred because their behavior has led to expulsion, due to budgetary concerns. After News 2 asked multiple questions about this, a school spokesperson confirmed the real reason for the transfer was because of the parent complaints due to Henry’s job performance. MNPS spokes person Dawn Rutledge broke out the common refrain used to defend MNPS HR this summer, she believes the error on the transfer form was a human mistake but that the school system is investigating what happened. The investigation needs to go a lot deeper than this one incident and in fact, I would say a complete audit on the performance of HR needs to be conducted. It’s not enough to just shrug and say, “Human error” three times fast. Somebody needs to be accountable for the continuing incompetence that has plagued the MNPS Human Resource Department. Unless of course it is all by design. In that case, we need to have a whole other conversation. It’s been over a week now since the state of Tennessee has released the state and district results of this years TNReady tests, yet still there is not statement in response from the district on said results. Is the plan here to just ignore them and hope nobody will notice? It should be noted that the TN Department of Education makes results known to districts several weeks in advance before releasing them to the public. Speaking of evaluations, the state mandated pre-k/kindergarten portfolio model of evaluation has made it to my radar. Andy Spears of TNEd Report touched on some of the issues back in June. Last week scores were released and the clamor has only grown. While I don’t fully have my head wrapped around the issues yet, I’m dropping this here as a place holder for further investigation in the coming month. Professional educator Zac Barnes continues to offer insight into educational issues via his recently launched Tip Sheet. Check it out. NOAH this week completed a series of forums with this year’s school board candidates. One of their questions to each candidate was, “Do you support Dr. Joseph?” My response was that I support good policy and that should be the metric, not whether an individual is supported or not. I went further and said that I believe entirely too much focus is placed on whether individual board members support Dr. Joseph or not. In my eyes, a board member’s job is not to support the director but rather to supervise them and ensure that they are carrying out the board’s directives as dictated by the folks that elected the board member. A role reversal seems to have occurred where some think that it is the director that supervises the board instead of the other way around. A correction needs to be made and the focus shouldn’t be on whether the board member supports Dr. Joseph,but rather, if the community supports Dr. Joseph. That is where question one of this week’s poll derives from. Just thought I’d offer some clarification. Governor Hallam is on the way out the door and Andy Spears evaluates his exit interview. I can’t seem to stop listening to the new Jayhawks record. 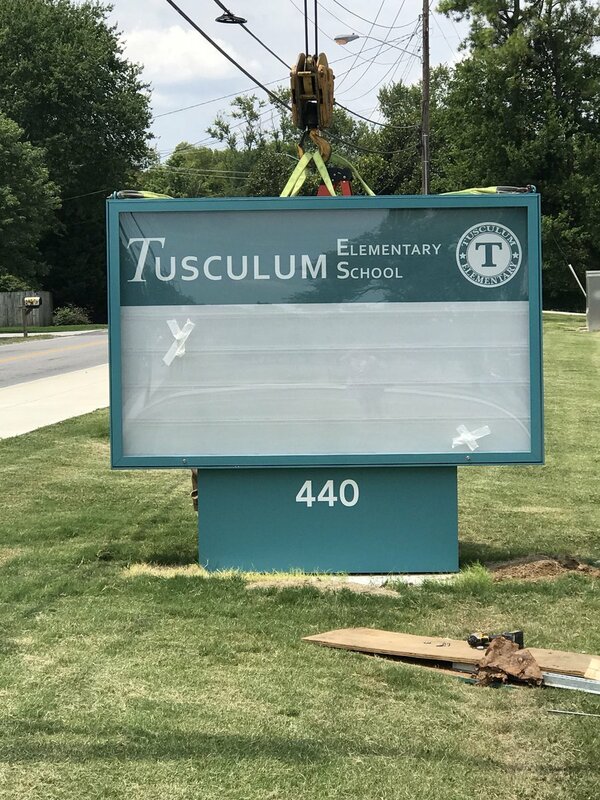 The new marquee is up at Tusculum ES and it looks fabulous. What a long strange trip it’s been. Now let’s talk about those needed additional classrooms that were cut from the original plans. School starts back in two weeks. Send me your back to school pictures. The email is norinrad10@yahoo.com. I’d love to share them on the Dad Gone Wild Facebook page. Hope springs eternal. Colorado, like Tennessee, created the seal of biliteracy in order to recognize multilingual students. Unfortunately not many districts have taken on the work. Aurora isn’t yet offering the new seal of biliteracy, so Math teacher Susan Holloway took it upon herself to help 15 seniors at her school win the recognition. While benefits of the seal of bi-literacy have been slow to materialize, Halloway offered this hope. Wish I had time to write more, but the polls are calling. If you come out to the Edmondson Library make sure you give me a shout out. Make sure you answer tis week’s poll questions and If you need to contact me, you can do so at Norinrad10@yahoo.com. I’m always looking for more opinions and will try to promote as many of the events that you send me as possible, but I do apologize in advance if I fall short and don’t get them all out there. I have started using Patreon as a funding source. If you think what I do has monetary value, you can go there and make a donation/pledge. Just because Andy Spears is also on Patreon doesn’t mean you can’t support us both. Trust me, I know I ain’t going to get rich, but at the end of the day I’m just a Dad trying to get by. Check out the Dad Gone Wild Facebook page as well. And if you are so inclined, check out my campaign web page and sign up to help if you can. Has anybody checked into how many teachers have left JFK since Sam Braden became principal? When these teachers left, how many were hired to replace them with less or no qualification/credentials?